The 2014 Nebraska Chautauqua will come to Norfolk on Wednesday, June 18 and continue through Sunday, June 22. The five-day event is presented by Humanities Nebraska and will include educational programs and entertainment focused around the theme “Free Land? 1862 and the Shaping of Modern America.” All events are free and open to the public. “Chautauqua is a fun and unique way to experience history,” said Kristi Hayek, Chautauqua coordinator. “We have been doing these for 30 years now, and we’re excited to bring it to Norfolk for the first time. Each evening, scholars will portray historic figures related to homesteading, building the transcontinental railroad, the displacement of Native Americans, and land-grant universities in Nebraska. After a short, entertaining presentation, the scholars will answer questions from the audience as their historic characters and as themselves. Main Chautauqua events will be held in the evenings under the Chautauqua tent at Warren Cook Park (4th & Elm St.). Local entertainment will be provided before the speakers begin. During the day, Chautauqua scholars and members of the local community will hold workshops for both adults and children. Workshops will be held on the campus of Northeast Community College. This year’s Chautauqua is part of a four-year series exploring the lasting impact on the people of the Great Plains left by landmark legislation passed in 1862, including the Morrill Act, the Homestead Act, and the Pacific Railway Act. Presentations and workshops will allow the audience to experience and explore the impact of landmark legislations through the historical lens of homesteading, migration, and displacement on the Great Plains. The speakers to be featured at this year’s Chautauqua include: author Willa Cather (Betty Jean Steinshouer), Union general and railroad builder Grenville Dodge (Patrick McGinnis), author Laura Ingalls Wilder (Karen Vuranch), scientist and inventor George Washington Carver (Paxton Williams), and Ponca Chief Standing Bear (Taylor Keen). Evening Chautauqua presentations will be moderated by author and humorist Mark Twain, as portrayed by Warren Brown. A preview event “Meet the Chautauquans” will be held on June 17 at the Norfolk Arts Center. An exhibit exploring the 150th anniversary of the Homestead Act will be on display at the Elkhorn Valley Museum and Research Center (515 Queen City Blvd) throughout the entire Chautauqua week. A complete schedule of all speakers and events at the 2014 Nebraska Chautauqua, as well as a reading list focused on the historical figures and topics to be discussed can be found at www.NebraskaChautauqua.org. Humanities Nebraska has also released a free app with the complete schedule, background information, FAQs and more. It’s available at Google Play and the iOS App Store. 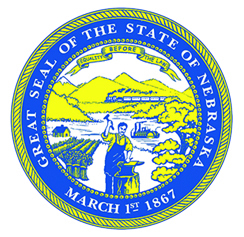 The “Free Land” Chautauqua is presented by Humanities Nebraska with additional support provided by the John W. Carson Foundation Fund at the Nebraska Cultural Endowment, the National Endowment for the Humanities, and the State of Nebraska. Local support is provided by the City of Norfolk, the Elkhorn Valley Museum and Research Center, Northeast Community College, and many other organizations and volunteers.